I have a little brother who is obsessed with Japanese culture. From anime to sushi to used underwear in vending machines (not sure if he is into that, but damn, Japan sure has some weird stuff going on) to him trying to read the Harry Potter books in Japanese, he's a pretty obsessed dude. Too bad he's not old enough to drink yet, or else I'd buy him the three beers from Japan's Yo-Ho Brewing Company that Jubilation is carrying. There is Yona Yona, a 5.5% English Pale Ale, Aooni, a 7.0% American-Style IPA, and Toyko Black, a 5% Porter. I haven't tried any of them....I'm a bit of a xenophobe. I didn't even like Lost in Translation that much. You can try these imports for $3.99 per 12 oz. can. 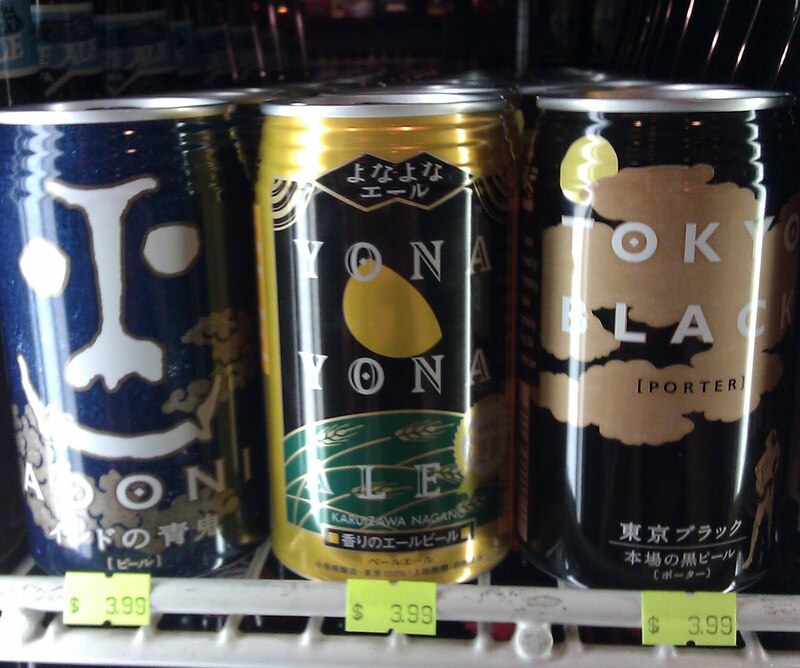 I've had the Yona Yona. Nothing to write home about. Spin the Bottle or Kick the Can? Next Up: Method Man Malt Liquor?